This is a solid cake. I baked it for a Memorial Day Weekend BBQ at my in-laws. Everyone really enjoyed the cake so much, particularly the frosting, that we all selfishly wanted to hide it for the following day’s festivities so we could have the leftovers all to ourselves. For the cake: Preheat oven to 350 degrees. Butter and flour two 9″ round pans. 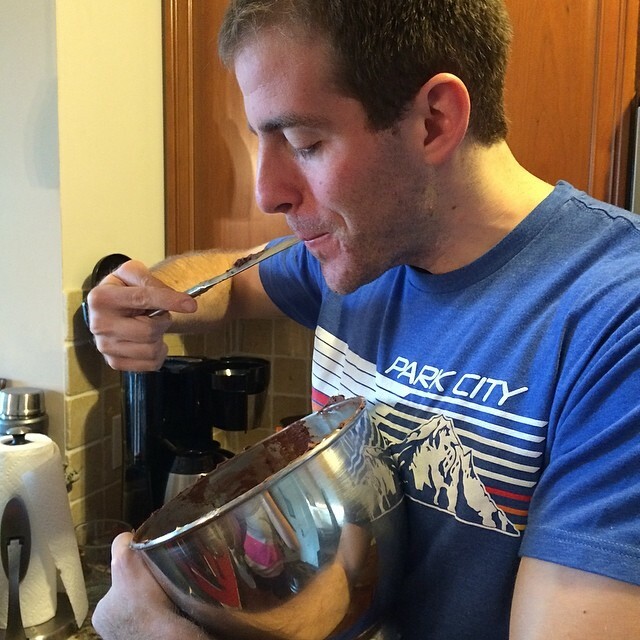 Sift together the flour, sugar, cocoa powder, baking powder, baking soda, and salt in a medium-sized bowl. Set aside. In a stand mixer on high speed, mix buttermilk, oil, eggs, and vanilla until combined. With the mixer on low speed, slowly add in the dry ingredients, then add the coffee. Pour batter into the pans and bake for 23-27 minutes or until a toothpick inserted in the center comes out clean. Place on wire rack to cool. 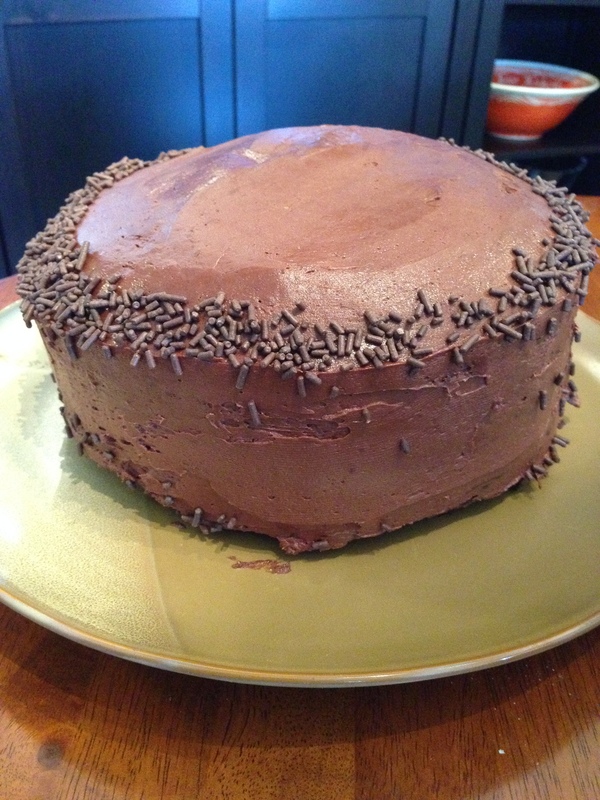 For the frosting: Using a stand mixer, beat the butter on high speed until smooth and creamy (about two minutes). Turn speed to low and slowly add 3 1/2 cups of confectioners’ sugar and the cocoa powder, and beat until these are absorbed (about two minutes). Turn speed to medium speed and add vanilla and cream. Once added, turn the mixer to high speed and beat for one minute. Add remaining 1/2 cup of confectioners’ sugar to desired consistency and add salt to taste. Once cakes have cooled completely, frost the cakes.